The Games on Demand version supports English, French, Italian, German, Spanish. Download the manual for this game by locating the game on http://marketplace.xbox.com and selecting “See Game Manual". 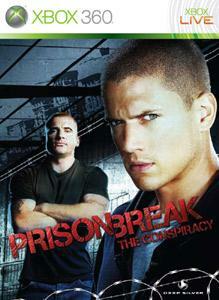 Prison Break - The Conspiracy takes you inside the Prison Break world like you've never experienced it before. You are Tom Paxton, a Company agent sent inside Fox River Penitentiary to observe and report on prisoner Michael Scofield... What you encounter will change your Prison Break experience forever.